February 1st, 2019 – Town of Islip Supervisor Angie Carpenter, Councilman John Cochrane, Jr. and Town Clerk Olga Murray, joined Town of Islip employees for Go Red For Women Day, kicking off February is Heart Health Month! By donating $5, employees were able to wear jeans to work February 1. "Heart Health Month is a wonderful opportunity to evaluate our lifestyle choices, including eating right and exercising. I would urge everyone to visit the American Heart Association's website www.heart.org for helpful information on heart health, strokes, CPR training in your area and much more," said Islip Supervisor Angie Carpenter. January 29th, 2019 – Islip Town Supervisor Angie Carpenter was joined by Aviation Commissioner Shelley LaRose Arken and members of the Islip Town Board, at the unveiling of a plaque officially dedicating the new Airport Fire Rescue Building. 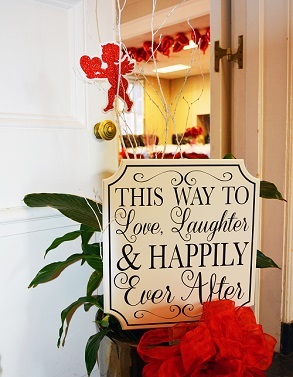 January 15th, 2019 – Due to the overwhelming popularity, Town Clerk Olga Murray has announced the return of Valentine's Day extended wedding services at Town Hall. On Thursday, February 14th, 2019, an additional 3 hours of wedding ceremonies will be offered to accommodate residents looking to celebrate their special day in conjunction with the popular holiday.